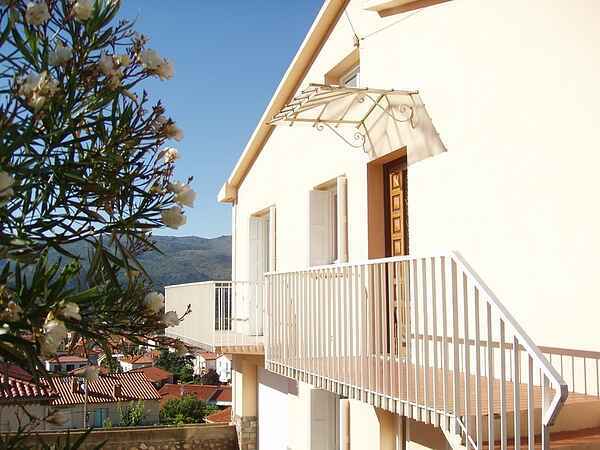 Prades is an activity heaven all year round. Skiing (December-March) - at 5 or 6 Pyrenean resorts (low cost, great quality) that could be reached in 40 min but you can also enjoy it at Col de Jau, the smallest skiing resort in Europe in 15 km from Prades (2 downhill ski pistes, cross-country ski, snowshoe walking). Swimming – at 5-6 sea resorts (45 km to Canet plage) or at the lake Vinca (10 km) - good also for surfing and sailing. Or you can swim in warm waters at the thermal spas of St. Thomas-les-Bains - against the backdrop of the mountains. Another 2 spas in 6 km. There are 3 golf courses nearby, 15 min to the closest (9 holes), 4 natural reserves within easy reach - ideal for walkers. Animal Park at Les Angles, 2 adventure parks (6 km) will keep your whole family busy for quite a time. Also waiting for you are medieval fortresses and abbeys, Yellow Train, Picasso, Matisse, Dali masterpieces in local museums, music festivals and a lot of wine! And Prades holds weekly market. Diving at Argeles, Banyuls, Port Vendres, Bacares, St Cyprien and Collioure. Golf in Marcevol (10 km, 9 holes) and at Font Romeu - 9 hole golf course at a beautiful mountain setting. St Cyprien-Plage on the coast has a 27 hole golf course. Spas and thermal baths in Vernet-les-Bains (Rheumatology) and Molitg-les-Bains (Respiratory pathologies and Skin diseases). Outstanding natural sulphurous hot springs in wonderful outdoor mountain setting in St Thomas les Bains. Fishing - trout, salmon, carps and pikes. There are 2 lakes in and around Prades. And a lot more -at some distance. Walking - all ability walking is available in abundance from your doorstep! Also within easy reach are the four nature reserves of Py, Mantet, Nyer and Jujois, as is the Carlit Massif, a very popular region for walking the GR10 coast to coast path and Pyrenean route across the massif. In addition, several summits are accessible to walks as well as challenging rock climbs.